Kit includes 10 Holders, 10 inserts and 1 pen. Work at Height Regulations came in to force in 2005 and apply to work at height where there is risk of fall liable to cause personal injury. This applies to both internal and external work at height and includes below ground level and low height. All ladders should be checked daily and prior to any use as well as at defined intervals for damage, faults, wear and tear as part of a risk assessment programme. The AssetTag holder should be permanently fixed to the ladder in a suitable place. 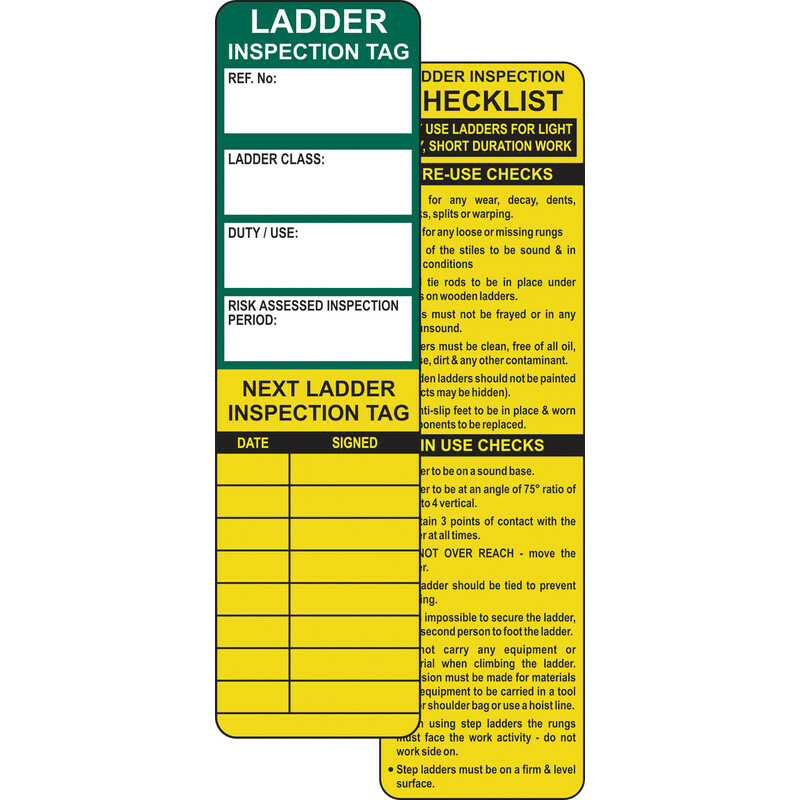 Perform an inspection of the ladder (a checklist is printed on the reverse) and record the result on the tag. If the ladder fails remove the insert and inform a supervisor immediately. These tags and inserts help manage the identification, safety and maintenance of ladders and help conform to work at height regulations 2005.